Many artists aspire to create a vibrant, impressionistic style of painting. Master painter Kevin Macpherson has developed an effective approach to capturing nature's glorious colors and luminosity in oils, and here he shares his techniques in complete step-by-step demonstrations. 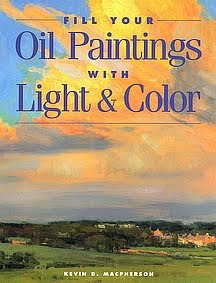 Following his use of bold, direct brushstrokes and careful composition, artists will learn to work in a loose, painterly style as they create spectacular oil paintings with rich, glowing tones. Kevin Macpherson studied with some of the country's best representational painters at the prestigious Scottsdale Artists' School, where he is now a teacher. He makes his home in the mountains east of Taos, New Mexico.